Arsenal show “exceptional spirit” and lack of quality. I partied all through last night but I can assure you that the title of this post is not alcohol-induced. Yesterday’s draw against Fulham was more of one point gained than two points lost. Why jump the gun though? Allow me to take you through how events unfolded. Arsene made two changes to the team that beat Dortmund at the Emirates, Djourou and Arshavin coming in for Koscielny and Gervinho. I’m sure we can now understand why Arshavin has not played a lot of games this season. Fulham defended well from the start of the game. Senderos stuck to RVP and rarely gave him any sniff on goal. We had to use the wings and while Walcott was having a good game, Arshavin struggled. We had a couple of good chances early in the game, both of which fell to Ramsey, another player who’s had better games. He forced a wonderful save from Schwarzer for the first but couldn’t hit the target for the second. That was as close as we came in the first half. We were a tad slow and struggled to get into rhythm. The half time break did not change much, Fulham defended, we could not break them down. We enjoyed possession though and looked more likely to go ahead than behind. Van Persie even had a shot cleared off the line by a defender! Football is one helluva crazy game though. Danny Murphy’s delightful chip found Arne Riise in our box, and as he struggled to control the ball, Vermaelen’s interception ended at the back of our net! We were now staring at a loss and needed something special on a day we have been quite flat. A sense of urgency returned to the game. We pushed players forward and Djourou almost scored from a corner only to be thwarted by Schwarzer. Diaby, Gervinho, Chamakh came on for Ramsey, Mertesacker and Arshavin. And with just over ten minutes left, Walcott whipped in ANOTHER wonderful cross. 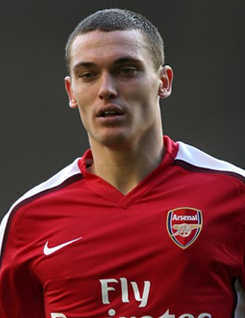 It met the head of Vermaelen who took it past the goalkeeper. We were back level, he had atoned for his mistake at the other end. I still ask myself how he got into that position. The Arsenal players gave one final push for all 3 points, but it was not to be. One point was all we would get. In his post match interview, Arsene reckoned we showed “exceptional spirit” and I totally agree with him. This was a game a “normal” team would have lost, but we dug deep and refused to accept defeat. And on a day when we faced a team that defended so deep, we could really do with Gervinho’s trickery and unpredictability from the start. Arshavin looked really out of sorts, hardly did anything right. Ramsey kept going for difficult options and should have buried at least one of those chances. Diaby gave us a new dimension, good to have him back. Is it a mere coincidence that the one game in which we did not start our first choice front three is the one we struggled to get a goal? It makes me wonder how we will cope when Gervinho leaves for the AFCON in January. Chamakh also came on yesterday and for the umpteenth time, he did nothing of note! 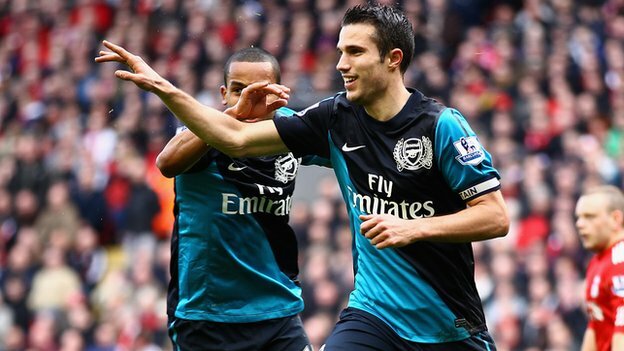 What happens if RVP isn’t also available in January? We’ll be stuck with a front three that comprises Walcott, Chamakh and Arshavin. In all, it was not the best of performances but at least we still have our unbeaten run going. Man City visit on Tuesday and we will need to rotate. Don’t let me get ahead of myself again, a preview to that game will be up tomorrow. Have a great Sunday wherever you read this from. 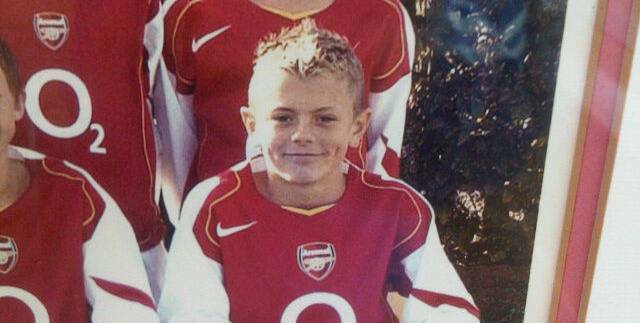 Wenger on Wilshere + Why this week might be Different. Top of the Morning wherever this post meets you! The football fest begins in less than a week, and while we’ve not had an exactly perfect preparation, we still have a few reasons to be positive. Granted, we fine-tuned our habit of throwing away leads this preseason, but we cannot exactly measure the readiness of this team based on a few friendly games. Plus, our starting XI looked the part a times, we just need to work on their backups and strengthen at the back. One thing we need to worry about is the rate at which our players are picking up injuries so close to the start of the season. As I write this, we have fears over the availability of Nasri, TV5, Van Persie, Walcott, Wilshere, and Koscielny for the opener at Newcastle. This excludes long term casualty Diaby, and unfit captain, Cesc. Only glimmer of hope is Rosicky and Arshavin who look fit and ready for the season. Gervinho also showed his versatility and he’ll be an asset. Wilshere is out, He missed the Benfica game, and it won’t make sense for England to lose him for competitive games just because of this friendly. It will hurt Arsenal more to lose arguably our most consistent player last term. It’s just over 3 weeks till the window closes. Every Monday since July 1st has seen me raise my hopes, thinking “this is the week”. My hopes are even higher today following Wenger’s comments on fans’ impatience over signings. While it should be noted that “hope” and “might” are the two most important words in the above quote, a few tabloids seem “confident” that this week will see the arrival of a new face or two. And the fact that Arsene has sort of set a time frame makes me very positive that this week MIGHT just be different. I’m not holding my breath though. I watched the Community Shield game yesterday and I must admit, that Man United performance sent shivers down my spine. They set a standard yesterday and you would be forgiven to think they were not champions last season. Got me thinking, can this Arsenal team can match such, or even set higher standards? Keep believing and have a great week ahead. This MIGHT be the week our “dreams” come to fruition. Six Years Going On Seven… What needs to change? As at the time the final whistle went at Craven Cottage, we have gone over half a decade without a change to our trophy cabinet. Not that we have not challenged in those 6 years, we have come close to ending this drought a few times but for one reason or another we have come up short. The closest we came to winning a trophy since 2005 was in the Carling Cup final against Birmingham earlier this year. We came up against a side in the other half of the table and yet we fluffed our lines and gifted them the trophy in the dying minutes of that game. I have had a lot of bad moments as an Arsenal fan, but this was a new low. I actually wept, not because we lost to Birmingham, but because of the manner in which we lost the game. I thought the club was under some kind of spell. We have had a lot of sad moments this season but on a lighter mood we were actually involved in a lot of classics. I mean, which top club can draw a game after going into half time four (4) goals up at Newcastle, or lose at home to Spurs after going 2 goals up, or draw a game after taking a 95th minute lead (Liverpool)? This is not the Arsenal we all are used to, so what needs to change? I’m not one of those people who think Wenger is god, he’s definitely human and obviously fallible as well. But I doubt I’ll be comfortable with this club in the hands of someone else. I think about the games we’ve had this season and I am quickly reminded that this is the same manager who took us through an entire season unbeaten. Yes, this is history, but it only points to the fact that with the right players, he’ll get things right again. One of the main problems we have with the team is a winning mentality; Arsene has identified this for the first time last week and he has “promised” to get players with experience of winning trophies, I say let’s see what he has in mind. I mean, we’ve endured 6 seasons, one more season of experimenting and probable success won’t kill anyone, will it? Our ability to score goals has never been in doubt, even Van Persie who started his season fully in January has over 20 goals already. But keeping the opponent from getting goals against s has been our Achilles’ heel. Even when we are cruising to victory, we still manage to concede the odd goal. Take a look at last week’s game for example, we would have won that game had we not conceded two avoidable goals in quick succession. The same thing can be noticed in games like Stoke away, WBA home and away, and the away game at the Reebok. Anytime we had momentum, we get pegged back by conceding a goal. How do we solve a problem like this? Further up the pitch, the injection of direct pace and steel is needed and Scott Parker has been touted with Hazard rumoured as well(don’t hold your breath, Arsene won’t pay 20 million, so expect some unknown or Nzogbia whom I fancy). 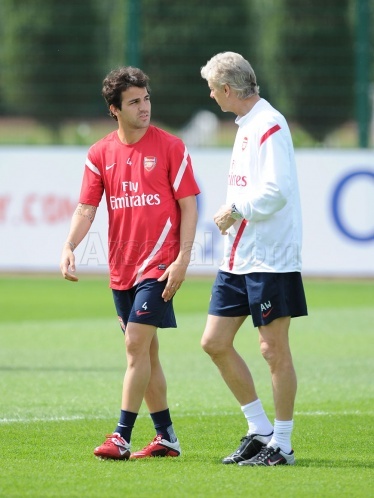 No word yet on whether Fabregas & Nasri would stay. Even if they stay, we need to sign two new midfielders and then replace Bendtner who looks to be on his way out. The cry for big names and big fees to be spent is at an all time high. So here’s my suggestion based on Arsenal’s prudent ways. IN : Scott Parker, Benzema, Baines, Cahill, Hazard. Simply put, leader at the back, leader in the middle of the pitch and goalscorer who can deliver on his own and compliment Van Persie, who at the moment has over 20 goals since January. If only we had two of him, one from August – December, the other from January – May. No one is asking for expensive signings, just the right players in the right position and maybe a tactical shift and change in the backroom staff and just maybe we can win something. It was a season that promised a lot but delivered nothing, nothing but heartbreak, sadness and a feeling of emptiness. Inspite of all this, the fact that we put up this post and you read it, and that we’ll still be gooners come next season just shows how much we love this club. We were there during the glory days, we want to be there when those days finally return. The transfer window opens in less than two weeks, trust us to keep you up to speed on anything concerning Arsenal. From the MG team, do have a befitting season end, next season may just be “that season”!